Montreal is constantly churning out great bands, there must be something in the water up there. 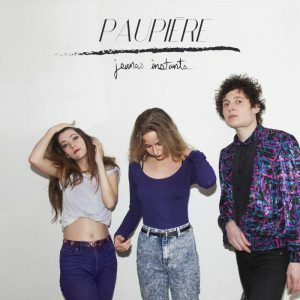 One of the best in recent memory is Paupière, a synth pop trio with French vocals and a heavily European sound. The four tracks on their recent Jeunes Instants EP are certainly a bit dark, but not for one second do they forget to be catchy and fun. Paupière recently took their show on the road and even overseas, traveling Europe throughout the month of March. 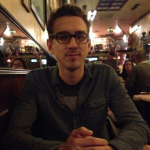 The footage they captured can now be seen as the video for "Jeunes instants," and it captures the frenetic, ecstatic feeling of tour life. With all of the overproduced, conceptual music videos we're bombarded with, sometimes it's nice to just see an unfiltered glimpse of another person's experience through the eyes of a camcorder or phone camera. Paupière has now returned to Canada, and will play a few local shows before returning to Europe in the fall. Grab their EP through the Bandcamp link below, and keep an eye out for their debut album next year.